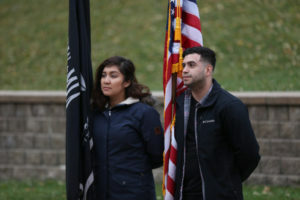 Johnson County Community College is dedicated to supporting its military and veteran students, and strive to provide a learning environment that fosters their academic and personal growth. JCCC provides to support its military-affiliated students with programs such as Peer Advisers for Veteran Education (PAVE): This peer-support system connects incoming student-veterans with veterans already on campus who can help them navigate college life, identify challenges and more. JCCC has the distinction of being one of three community colleges in the nation selected for this peer-mentoring program.